Despite being long-standing fixtures of the Sydney's suburbs, serving as convenient meeting places and social hubs for their surrounding communities, RSL clubs continue to succumb to the voracious appetites of the city's property sector. Many RSL Clubs are struggling financially as a result of declining patronage and changes in the demographics and entertainment habits of Sydney’s suburbanites, with 31 of the institutions shutting their doors in NSW during the first decade of the new century alone. These travails continue to make the remaining RSL clubs highly vulnerable to the depredations of opportunity-hungry property developers. The clubs are situated on large-scale freehold sites in excellent locations that are highly suitable for various forms of redevelopment, including the construction of apartments, retail sites, aged care accommodation or offices. The Hurstville RSL provides a case in point. The club has been floundering financially over recent years, with losses on the rise as net assets attenuate. While members want the Hurstville RSL to be merged with the South Hurstville RSL, whose strong financial performance is bucking the trend of struggling clubs, property developer Will McDonald of Skye Pacific Properties Pty Ltd. has led a consortium including Parkview Constructions and Dickson Rothschild Architects has instead proposed a mixed-use development of the site. McDonald’s plans enjoy the support of a pro-development group that goes by the name “Friends of Hurstville” group, and is strenuously opposed to the amalgamation plan which the Hurstville RSL voted in favour of last August. Hurstville RSL general manager Rod Bell said the postponement favours the prospects of the developers and unfairly threatens the existence of the club, and has called for intervention from the NSW Minister of Hospitality. “We now need the Minister Troy Grant to instruct ILGA to support the wishes of both clubs’ real members that are more than happy to see another RSL disappear in this Anzac centenary year,” said Bell. A final decision on the matter is expected from ILGA by March. Controversy surrounding re-development plans for the Hurstville RSL follow the conversion of a number of prominent RSL clubs into residential or mixed-use facilities in recent years. The Redfern RSL, located in one of inner city Sydney’s most swiftly gentrifying suburbs, has been converted into an 18-storey residential tower containing offices and retail sites, with a strata arrangement allowing the club to retain ownership of the building’s second floor. 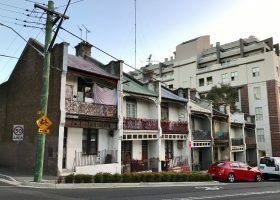 The Marrickville RSL, formerly one of the most venerable and renowned clubs in Sydney, sold its former club property to a developer for more than $10 million in 2008, and moved to a small office space devoid of facilities for members, situated above a liquor store and adjacent to a large brothel.